Exadata Database Machine X2-2 or X2-8? Sure! Why Not? Part II. In my recent post entitled Exadata Database Machine X2-2 or X2-8? Sure! Why Not? Part I, I started to address the many questions folks are sending my way about what factors to consider when choosing between Exadata Database Machine X2-8 versus Exadata Database Machine X2-2. This post continues that thread. As my friend Greg Rahn points out in his recent post about Exadata, the latest Exadata Storage Server is based on Intel Xeon 5600 (Westmere EP) processors. The Exadata Storage Server is the same whether the database grid is X2-2 or X2-8. The X2-2 database hosts are also based on Intel Xeon 5600. On the other hand, the X2-8 database hosts are based on Intel Xeon 7500 (Nehalem EX). This is a relevant distinction when thinking about database encryption. 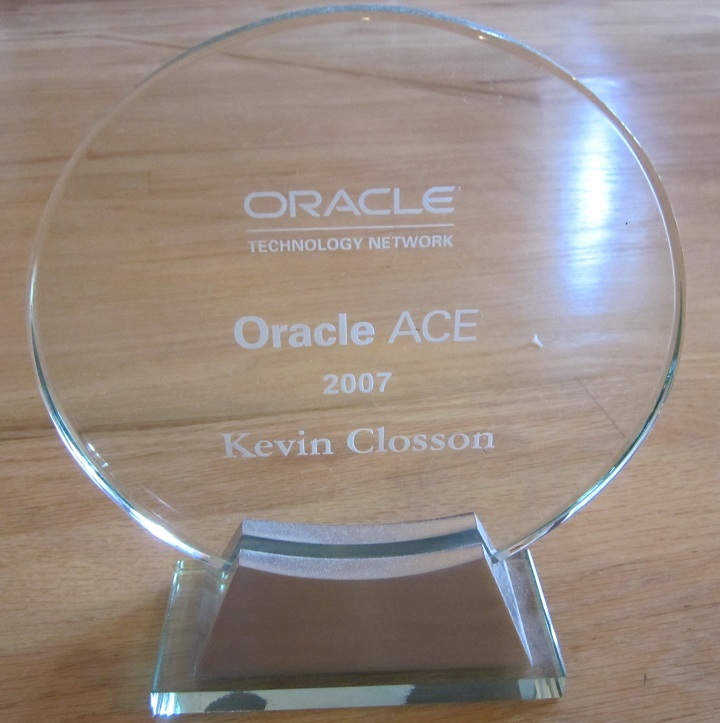 In his recent post, Greg brings up the topic of Oracle Database Transparent Data Encryption (TDE). As Greg points out, the new Exadata Storage Server software is able to leverage Intel Advanced Encryption Standard New Instructions (Intel AES-NI) found in the Intel Integrated Performance Primitives (Intel IPP) library because the processors in the storage servers are Intel Xeon 5600 (Westmere EP). Think of this as “hardware-assist.” However, in the case of the database hosts in the X2-8, there is no hardware-assist for TDE as Nehalem EX does not offer support for the necessary instructions. Westmere EX will—someday. So what does this mean? TDE and Compression? Unlikely Cousins? At first glance one would think there is nothing in common between TDE and compression. However, in an Exadata environment there is storage offload processing and for that reason roles are important to understand. That is, understanding what gets done is sometimes not as important as who is doing what. When I speak to people about Exadata I tend to draw the mental picture of an “upper” and “lower” half. While the count of servers in each grid is not split 50/50 by any means, thinking about Exadata in this manner makes understanding certain features a lot simpler. Allow me to explain. In the case of compressing data, all work is done by the upper half (the database grid). On the other hand, decompression effort takes place in either the upper or lower half depending on certain criteria. Lower Half Decompression. Data compressed with Hybrid Columnar Compression (HCC) is decompressed in the Exadata Storage Servers when accessed via Smart Scan. Visit my post about what triggers a Smart Scan for more information. Upper Half Decompression. With all compression types, other than HCC, decompression effort takes place in the upper half. When accessed without Smart Scan, HCC data is also decompressed in the upper half. Upper Half Encryption. Always. Data is always encrypted by code executing in the database grid. If the processors are Intel Xeon 5600 (Westmere EP), as is the case with X2-2, there is hardware assist via the IPP library. The X2-8 is built on Nehalem EX and therefore does not offer hardware-assist encryption. Lower Half Decryption. Smart Scan only. If data is not being accessed via Smart Scan the blocks are returned to the database host and buffered in the SGA (see the Seven Fundamentals). Both the X2-2 and X2-8 are attached to Westmere EP-based storage servers. To that end, both of these configurations benefit from hardware-assist decryption via the IPP libarary. I reiterate, however, that this hardware-assist lower-half decryption only occurs during Smart Scan. Upper Half Decryption. Always in the case of data accessed without Smart Scan. In the case of X2-2, this upper-half decryption benefits from hardware-assist via the IPP library. That pretty much covers it and now we see commonality between compression and encryption. The commonality is mostly related to whether or not a query is being serviced via Smart Scan. If HCC data is also stored in encrypted form, a Smart Scan is able to filter out vast amount of encrypted data without even touching it. That is, HCC short-circuits a lot of decryption cost. And, even though Exadata is really fast, it is always faster to not do something at all than to shift into high gear and do it as fast as possible. When data is updated or written to EHCC storage, it is compressed with a different algorithm. Is this data decompressed on the Storage Server when part of a Smart Scan? Joking aside, the answer is no. Only EHCC data decompression occurs on the cells. All other expansion occurs in the database grid. Hi Kevin, on an X2-2, when using RMAN on the db servers to backup to NFS-attached storage encryption can be done so that the data in encrypted when it lands on the NFS storage, correct? Can we assume the hardware-assist will also take place in that scenario? I don’t think I understand your question. The contents of your RMAN backup can be compressed and/or encrytped but none of that has to do with hardware assist. Still learning here so hang with me, RMAN would be run on the DB Server nodes within X2-2 which would have NFS storage mounted to them. So if encryption is done via RMAN, wouldn’t the 5600 procs assist with the encryption as you describe for DB encryption? In this scenario, the DB itself would not be encrypted, only the RMAN backup. Does that make sense? Thanks for the nice breakdown of compression/encryption activities between the DB and the Storage sever. However, this begs the question of why HCC is not supported on non-Exadata H/W as is the case without smart scan on Exadata H/W? Your question confuses me. Are what does “as is the case without smart scan on Exadata H/W” mean?